Empire Sound Studio is contemporary with state-of-the-art equipment and a large, impressive selection of instruments. 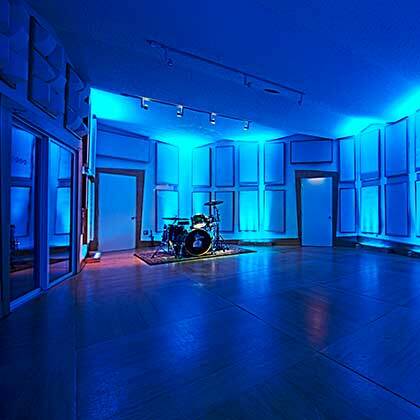 The studio is custom designed for achieving the highest quality sound results. Empire Sound Studio is available for producing your next project. See our pricing details below. Empire Sound Studio is not a rehearsal hall. All scheduled bands are expected to be well rehearsed. Likewise all the songs, solos, intros, and endings should be planned out prior to your recording session. We also offer a per hour Studio Hourly Rate, or Block Rates for 10 hour blocks, if you prefer to work that way. Alex Gerst is a Nationally recognized Studio Producer/Engineer with 25 years experience as a producer, studio engineer, and session/live drummer. Alex has worked with Epic Records, BMI Records, and Atlantic Records, Warner Brothers records to name a few, and many indie labels. Alex has produced and engineered Top 20 and Top 40 charting songs on Billboard. Alex is available for producing your next album or to discuss possible record development deals. Contact him for special rates and to discuss your next project.